WHAT CAN WE LEARN FROM A FOUR-YEAR-OLD GIRL? Questioning at these early ages may seem like child's play, but it's a complex, high-order level of thinking. It requires enough awareness to 'know that one does not know'—and the ingenuity to begin to do something to remedy that. As the Harvard Universitybased child psychologist Paul Harris points out, young children discover early on that the information they seek can be easily extracted from other human beings, merely by using that certain combination of words and vocal inflection that forms a question. If you could peer inside the mind of a questioning child, you'd get a hint as to why kids seem to enjoy asking "Why?". Neurological research shows that merely wondering about an interesting question activates regions of the brain linked to reward-processing. Curiosity—the act of wondering—feels good in and of itself, and thus, questions beget more questions. Think of curiosity as a condition—"like an itch," says the neuroscientist Charan Ranganath. And that condition often leads to the action known as questioning, which is how we scratch the itch. The four-year-old child scratches away—until, at some point, she is told to stop. But for a time, during her peak questioning years, she has no reluctance to ask about anything and everything—including the most fundamental questions, those basic "Why?" queries that many of us are loathe to ask for fear of looking stupid. The questioning child isn't weighed down by accumulated knowledge, biases, or assumptions about how the world works and why things are the way they are. Her mind is both open and expansive— an ideal condition for wondering, inquiring, and growing. This seems to begin changing somewhere around age five or six. 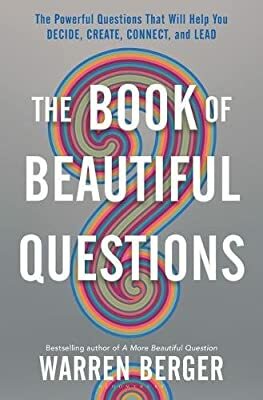 The asking of questions (at least the ones that are verbalized by young students in school) tends to subside steadily, year by year, according to research from the nonprofit Right Question Institute, which studies questioning and devises question-formulation exercises for schools. What was once a hundred-per- day questioning habit among four-year-olds dwindles down to a few questions—or none—among teenagers. WHAT ARE THE FIVE ENEMIES OF QUESTIONING? It is convenient to blame this on our education system, which, for the most part, is test-driven and answers-based. And our schools could be doing much more to encourage questioning by students. But clearly, a number of additional forces and pressures work against questioning. Foremost among what I think of as the "five enemies of questioning" is 'fear'. Though many young children start out as fearless questioners, they gradually get the message—from teachers, parents, other kids—that asking a question carries risks, including the risk of revealing what they don't know and perhaps ought to know. It is a near-paralyzing problem for young students and seems to get worse as they move into the peer-pressure-cooker environments of junior high and high school. Students fear they'll ask the "wrong" question—one that could be seen as off-topic or obvious—or that by asking any question, they'll potentially be seen as uncool. As children become teenagers, coolness is generally associated with being in-the-know already—or acting as if you don't care. To ask a question is an admission that you don't know, and 2) you do care—doubly uncool.